ACETIAM RIS solution allows to implement a complete system to manage information and medical data from your patients in radiology, but not only. 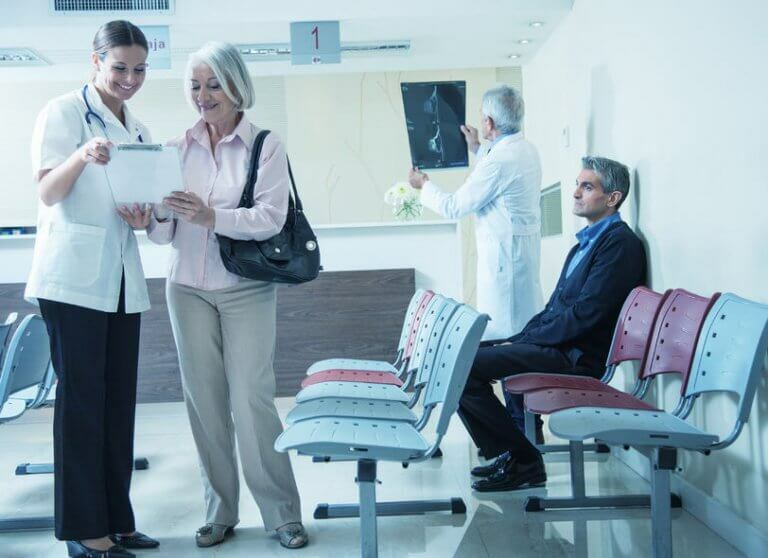 ACETIAM RIS simplifies and optimize EHR management and enable a better patient monitoring, through an interface that give access to the patient’s history and its already done exams. Integration of the Radiological Information System with other Healthcare Information Systems or medical equipments inside the healthcare facility offers easily the possibility to exchange, share or archive patients’ data. This solution is accessible from any device (smartphones and tablets as well), in order to offer clinicians and physicians the ability to refer to the patients worklist, and access medical imaging results or the planning at any time. Access to an overview of a patient’s previous examinations, associated reports and vital medical history (allergies, chronic diseases, etc.) and entering new information if needed. Patient record creation and retrieval is based on the data provided by the GAP information system. Specific criteria input (patient status, autonomy degree, time constraints) that can be exploited for statistics purposes, or allow advanced planning, management and organization functions (eg for stretcher). Back-office / Front-Office integration with other information systems and on site medical equipment installation. The new interface makes it possible to spread the availability of planning information, work lists and images to radiologist’s or clinician’s smartphones and digital tablets.